Today I am sharing with you a pretty, easy, quick recipe that is loaded with fall favorites like apples and maple syrup. Ohhhhh, you just have to love fall flavors. Anyway, I was thinking what can I do different with pork? One thing I never have done is make pork shish kabobs. Why not give it a try? So today I tried and now I am sharing it with you because it came out amazing. 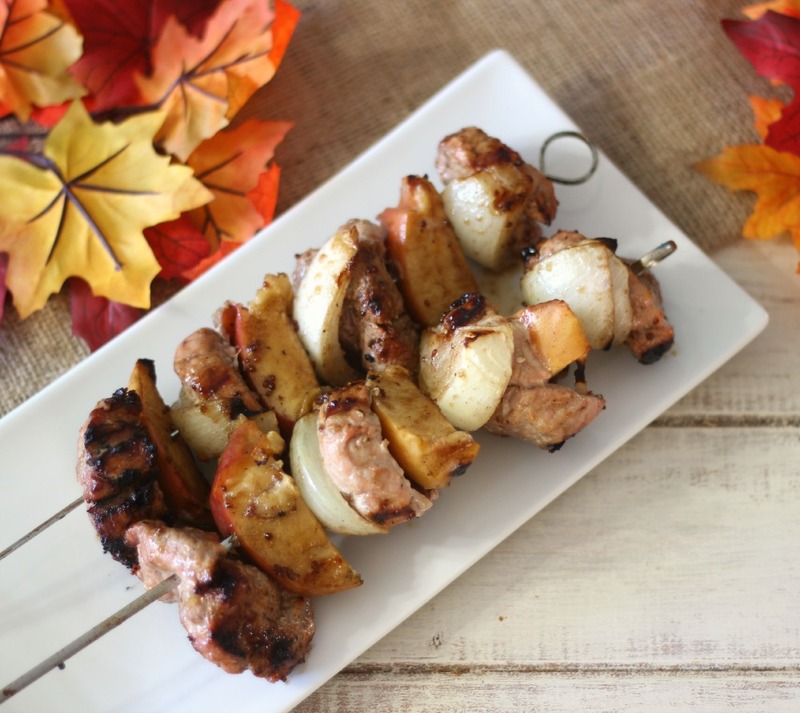 Let me share with you my Pork and Apples Shish Kabobs. This dish is delicious. 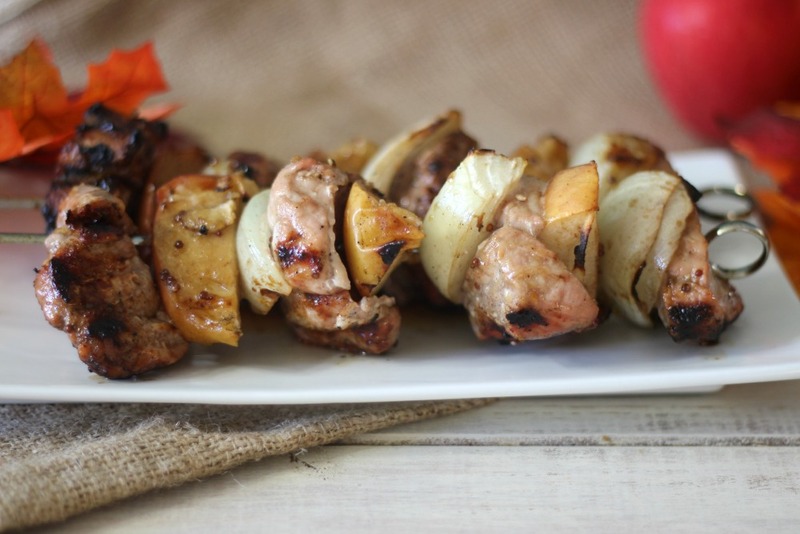 I love the flavor of grilled apples and onions with tender pork. Plus the glaze over the top gives it a nice sweet and savory flavor. It was a sure hit with the family and I think it would be a hit with you, if you’re a pork and apple kind of person. I made the glaze to go over the top of the pork which is made with balsamic vinegar, olive oil, maple syrup and dijon mustard. Simply perfect. For the apples, I was pretty impressed that they still held their firmness and was easily able to cut with a fork. The recipe takes about 10 minutes to make, which is perfect for a quick weeknight meal. 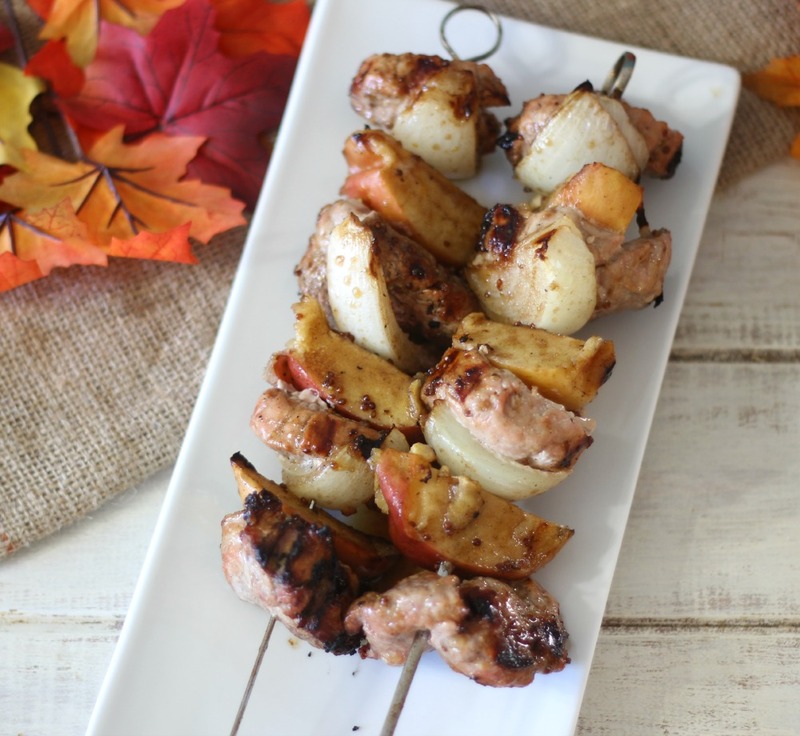 Tender, juicy, grilled pork with apples and onions and topped with a sweet and savory maple syrup glaze. In a bowl; mix together balsamic vinegar, olive oil, mustard and maple syrup; set a side. 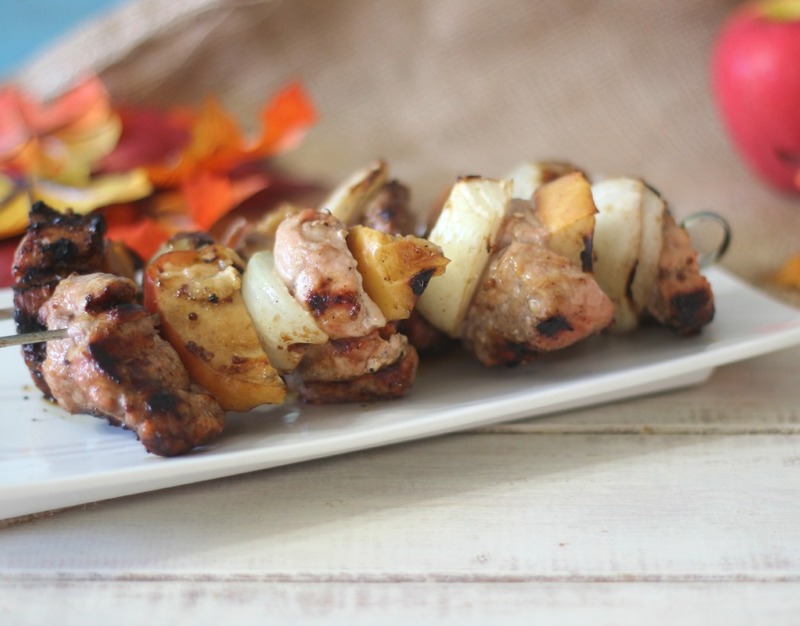 Skewer together the pork, apples and onion, alternating between pork, onion and apple. Sprinkle with salt and pepper. Add pork skewers to the grill and brush on the marinade. Cook for 5 minutes, flip the skewer and brush with more marinade. Cook for about 5 minutes more or until pork is fully cooked. Note: if using a wood skewers, be sure to soak them for 30 minutes in water before using. Funny, up until now, I never thought of making pork skewers. Now there are a ton of recipes that I can make this way. These look delicious! The tastes of fall literally jump off the page here.I guarantee that this would be a big hit with my family, as well. For safety reason, I may have to remove the skewer for my <2 year old son, but I could see my husband devouring these. Thanks for sharing this!